People often write to say thanks for the information they find on Ask Bob Rankin. And I always appreciate those kind words. But some have actually said they'd like to do something for me in return! Of course that's not necessary, but I do appreciate the spirit of giving that the Internet inspires. 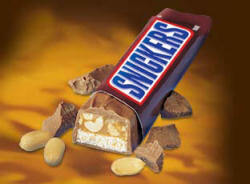 So... if you really want to say thanks in a tangible way, you can buy me a Snickers. I do love Snickers bars, but they tend to lodge directly along my waistline. So if you'd rather buy me a healthy granola bar, a cup of coffee, a tennis lesson, a gym membership, or a Tesla Model S (gotta look good driving to the gym), I promise it will inspire me to continue onward. Like I said... you don't have to. But I'll certainly appreciate it if you do! And here's something you can do that won't cost a thing... add or share a link. Just copy and paste the link below to your website, or share on Facebook.